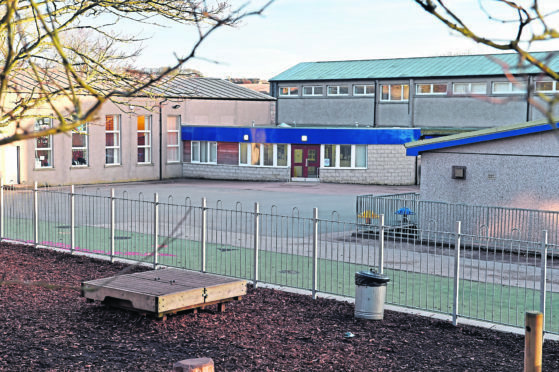 Police were called to a north-east school yesterday after a pupil was involved in a disturbance involving a knife. A 999 call was made from Ellon Primary School at around 3pm following reports of an ongoing incident. It is understood the pupil did not bring the knife into the school but that a weapon was involved. The incident was said to have been “contained and under control” by the time officers arrived. A spokesman for Aberdeenshire Council yesterday confirmed a disturbance had taken place. He said: “We can confirm that Police Scotland attended an incident at Ellon Primary School this afternoon. Local Sergeant Steve McDonald said the police would be looking into the incident, with a “well-established multi-agency response plan” in place, which includes a prompt assessment and follow-up to any incident that happens. Following the incident, local councillor Richard Thomson said the incident was concerning but thankfully “rare”. He said: “While this news of this incident is obviously concerning, thankfully occurrences such as this are rare in our schools. “I am pleased that the incident was dealt with swiftly and safely and that no-one involved came to any harm. The incident comes after an increase in efforts to prevent knife related incidents in schools following the death of Cults Academy pupil Bailey Gwynne in October 2015. In March this year a nine-year-old boy was charged after having a knife on his possession in a north-east school. It is understood the weapon was in his bag and had not been brought out.